Travel. It’s what everyone tells you to do when you’re young, and I think I know why: it’s just a good idea. I was lucky enough to be able to follow this universal advice earlier this summer when I had the chance to travel throughout Europe. While there, I stayed in a variety of accommodations, ranging from a rented apartment in Paris to a farmhouse in the Portuguese countryside. However, the most remarkable place I stayed at was a hostel in Brussels, Belgium, that had been converted from its original state—a brewery constructed in 1916—into a contemporary youth hostel. Hotels have been going green for years now. It’s not uncommon to see a hotel growing its own rooftop herb gardens or using eco-friendly room keys made from sustainable wood. Hotel chains have been leaders in the green hospitality industry—but what about youth hostels or smaller boutique hotels? I was pleased to learn that being environmentally conscious and budget conscious are not mutually exclusive. There seems to be a belief that when a product or service is green the customer is sacrificing the quality of that product or experience. In my experience, this couldn’t be further from the truth. In fact, a 2009 customer satisfaction survey showed that a guest’s satisfaction rating was higher when they were aware of a hotel’s efforts to actively reduce its environmental impact (J.D. Power and Associates). Green hotels and hostels provide a perfect way for travellers to make a conscious decision to help the environment while also supporting businesses that share their values. The Meininger Hotel Brussels City Center is just one example of a green hotel concept. 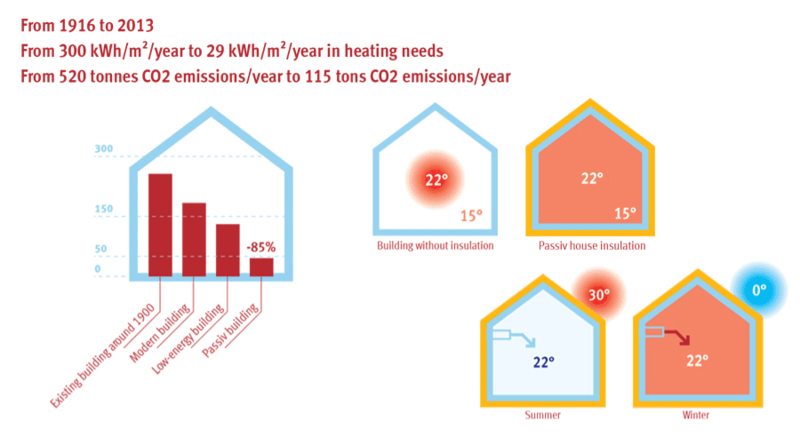 Meininger uses passive strategies, such as thermal insulation and efficient ventilation and heat recovery, to reduce energy consumption and carbon dioxide emissions. A conventional building is insulated with approximately 7 centimetres of insulating material. However, the Meininger hostel has more than doubled that amount, with approximately 20 cm of cellulose-based insulation. In addition, the hostel uses a mechanical ventilation system that, after initial ventilation, recovers 75% of the heating before it is sent to an exchanger. 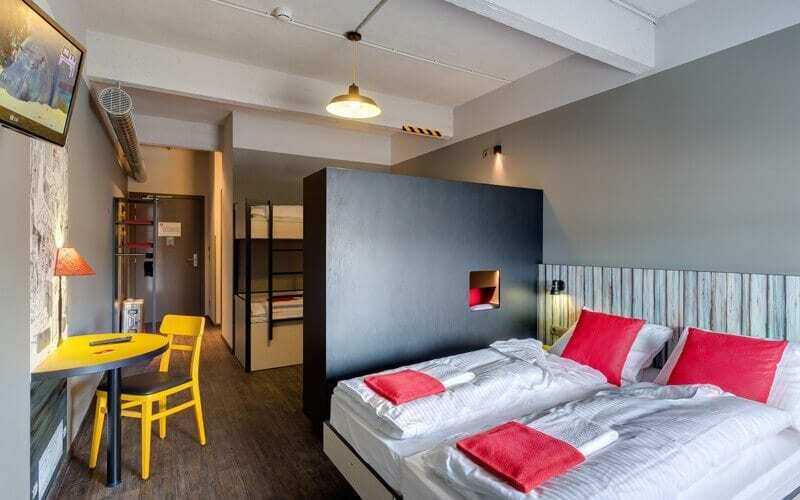 By rethinking simple and conventional applications, hostels like the Meininger Hotel Brussels can save more energy and be more profitable in the long run. Another hostel that is exchanging traditional energy methods for more profitable ones is Planet Traveler. Known as North America’s “greenest hotel,” Planet Traveler is located just a few steps away from Kensington Market in Toronto. I sat down with Tom Rand, co-developer of Planet Traveler, to discuss his vision for the project and the hostel’s use of carbon-cutting green technologies. SA: What inspired you to build Planet Traveler? Tom: As a venture capitalist, I didn’t know what technologies performed best in the real estate sector. I had no idea what kind of technology would reduce energy consumption and fossil fuel consumption in that sector, so Planet Traveler was really a living lab for my private venture fund. It was as an investment thesis, but it was also a way to demonstrate to other real estate owners how profitable significant chunks of carbon reduction can be. My ultimate motivation is that I worry about climate change, and real estate is a big piece of it. I wanted to demonstrate that you can set a target of a three-quarters cut and then hit that target, and you will be more profitable for having done so. The broader lesson from it is that if everyone did what I did, we would blow past Kyoto and be wealthier for having done so. It is ultimately an economic argument, using an example of putting my money where my mouth is and proving it can be done. SA: Planet Traveler has an operational carbon footprint that is 75% smaller than conventional buildings. What kind of green technologies make this possible? Tom: The lion’s share is geothermal technology. Geothermal means that instead of producing heat or cold with a furnace or an air conditioner, you’re moving heat or cold from the ground. Geothermal technology exchanges heat from the building with heat from the ground. For every kilowatt-hour of energy you put in, you get five kilowatt-hours out. You’re not breaching any thermodynamic law—you’re just moving heat around instead of producing it. The unique thing that we did with the hostel was that we put the geothermal pipes under a city-owned laneway. As a result of the project, Toronto now has a geothermal policy in place. If you want to use a park or public laneway for geothermal energy, you can, and they now have a process to go through to do so. Planet Traveler broke ground for dense downtown cores, where you may not have an actual yard, but you are near city property—you can now do geothermal. We also have LED lighting. You can light up the entire building, inside and out, for less energy than that used by a four-slice toaster. We capture heat using drain water heat recovery, in which we capture about two-thirds to three-quarters of that heat and recirculate it back to the hot-water tanks. We have solar thermal energy, meaning we preheat our water using the sun, and we also have a solar photovoltaic system to create electricity. SA: What challenges did you face during construction? Tom: The usual construction challenges, but nothing out of the ordinary. That’s part of my point: this stuff is easy, it’s not rocket science. All I’ve done is take five technologies that are well understood and put them into one place. The thing that surprised me was how easy it was. I thought it would be hard because nobody is doing it or, if they do it, they claim it is a big expense. It blew my mind that you could lower carbon by three-quarters by taking almost no technology risk and make a profit. SA: What feedback have you received from your guests? Tom: First of all, those who care about the environment just love it. More to the point, we proved that you don’t give anything up from going green. Planet Traveler is rated No. 1 in customer satisfaction in all of North America at hostelworld.com—not in green, but in being the nicest hostel to stay at. We proved that you could build a boutique hotel level of comfort and have a 75% reduction in carbon. SA: What advice would you give to entrepreneurs who want to pursue a similar business? Tom: My advice would be that you don’t need to view it as a separate type of business; it’s just a smarter way of building one.